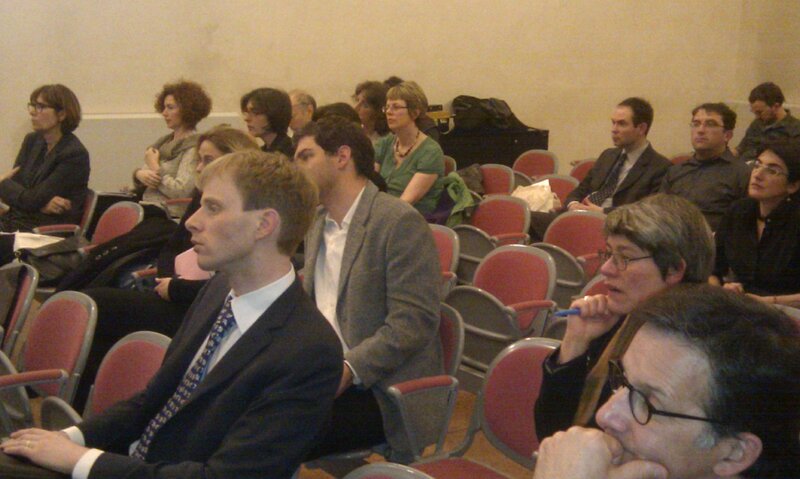 The second day of the conference in Bologna was immensely intense in communication and rich in content. Four discussants had read all the 35 country reports and presented elaborated comments. Their comments were then taken up and discussed by the conference guests and report writers in the auditorium. This format was well received by participants, for instance, one participant stated that it is rare that so much time is dedicated to discussions at conferences. Dominique Poulot was first to enter the pulpit and to take the knowledge on in the reports on national art museums further. He concluded that art museums educate on visual culture and produce emotional links to nations. However, his talk began with acknowledging that art’s legitimacy never coincides with the borders of the state. Art produced within a nation-state has never been enough to produce an art museum of significance. There is an ongoing tension between on the one hand nationalism and on the other hand the universalism of art. He then singled out ways that art has been nationalised in museum spaces. First, museums have advanced national schools of painting such as Flemish art. What is learned in art schools is afterwards giving a national label. Secondly, museums have been involved in producing national tastes connected to both national styles and ethnographic notions of folk art. Here administrators, curators and artists have collaborated. Sometimes national museums promote one particular artist as national, such as the Prado museum does with Velázquez. Museums could also promote specific national genres or be dedicated to national portraiture. In some instances nation-state promotes themselves with ideological styles, which for example was the case with Socialist realism in the Soviet Union. In part two of his talk, Dominique Poulot pointed to how national schools of art ties into international movements and how national museums internationalize their collections and compete with museums elsewhere when they start taking part in processes of city branding. Several voices in the audience pointed to the role of design and applied art, how class and taste connects and the ways in which for example museums promote transnational models for collecting and exhibiting. In his reading of the reports, Tony Bennett highlighted the fact that museums always have been part of transnational processes. The title of his talk was Empires to nations: Imperial strategies and performances in changing circumstances. He started out by noting that Eunamus develops Benedict Anderson’s writings on the making of nations. Eunamus’ reports show how changeable nation-states are, how museums constantly are made to give material anchorage for new sets of time and territory, and how these national times and territories are permanently insecure due to rival orders and transnational formations. He particularly mentioned religion as an influential transnational formation both historically and in contemporary society. Another set of transnational formations which has been particularly influential for museums is associated with colonialism and post-colonialism. Here he underlined that it is not only the colonies that transform in this kind of processes, but also the metropolitan centers. For example, the colonisation of India changed the way Englishmen perceived themselves and their place in the world. For the moment, the axis between centre and periphery is again being reconfigured as there are reversed flows from the metropolis to the colonies. Transnational indigenous activities push through repatriations of objects and human remains. Other influential transnational formations in the museum sphere, mentioned by Tony Bennett, are disciplinary knowledge produced within archeology, ethnology and art history, as well as international actors such as UNESCO, ICOM and the European Union and their scheme on European Capitals. Tony Bennett opened his commentary by suggesting that every set of relation between nation-states and museum making is particular. In his words: each report shows a specific twist on museums, nation-states and transnational processes. In his comment Stefan Berger concentrated on the intricacy of the long 19th century, from states into nations and nations into states in the age of nationalism 1750-1914. Taking up Tony Bennett’s thread, he suggested that the making of national museums probably was one of the most transnational affairs during this period. He pointed to the fact that it has often been individuals or learning societies who, together with the state, promoted national museums in the beginning of the 19th century. Particularly old empires, such as Britain, show a lack of state interest in the building of national museums. Here figures such as John Sloan and Henry Tate have been highly influential agents in museum making processes. While the UK still shows off its imperial past, Denmark tends to forget that it once was an empire. Furthermore, Stefan Berger paid attention to tensions between regionalism and nationalism in the landscape of national museums. For example, in Italy, many national museums are placed outside the capital, and the one in Naples even exhibit hostility to the states’ nationalising strategies. As a historian, Stefan Berger brought up some historiographical issues, and urged the writers of the reports to be careful in their use of chronologies and terminologies from secondary literature. He asked the writers to deal more with representations of borders and chronologies in national museums. Like Tony Bennett did in his talk, he asked for more developed temporalisations and chronologies in the reports. Another theme already touched upon previously during the day was the interrelationships of national museums and social class. For instance, what class values are attached to the axis people – time – territory? A voice from the auditorium then asked about the role of economy and the influence of capitalism for the inauguration of national museums. Related both to this topic and to the role of intellectuals in museum building processes, Ilaria Porciani wondered if it was time for a revival of Gramsci’s theories. The last man at the pulpit this day was Peter Apor. He set out to highlight a set of 20th century pan-European themes from the reports, talking on the subject Post-imperial nations: new nations, new borders and new unions 1914-2010. Among the themes he elaborated on was how the Medieval Ages in many European countries have been used as a source of identity and national pride, that many museums across Europe seems to deal with relations to former colonies, that there are transnational networks of designers, curators and architects, and that new types of memorial museums have developed after 1945. Especially the last theme was picked up by the writers of the reports and the discussants in the audience. Tony Bennett asked if not the Soviet Union had been one of the key factors in the 20th century and prompted the writers of the reports to deal with this. 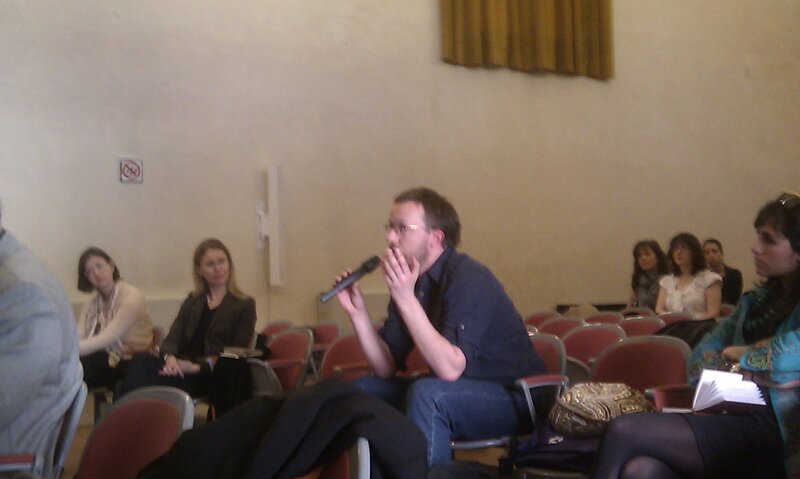 Stefan Berger asked to what extent WW2 is the key narrative in history museums. Peter Apor responded that at least in the Eastern Europe, the interpretation of the Second World War very much relates to 1989. The museums in Eastern Europe and in Germany strive to strike the balance between change and continuity. Efforts of reconciliation have proliferated and there has been a revival of national narratives, but nationalism, as well as anti-German strands, was incorporated in the Soviet stories too. Ilaria Porciani brought up the issue of how to deal with uneasy topics, such as the mass rapes of women during and after the war. It was surprising how much energy the participants mobilised to debate the narratives and agents in post communism nation-states. The conference had started at nine o’clock in the morning and at seven o’clock in the evening, moderator Kristin Kuutma had to interrupt the discussions to call it a day. This entry was posted in Eunamus' conferences, Research. Bookmark the permalink.